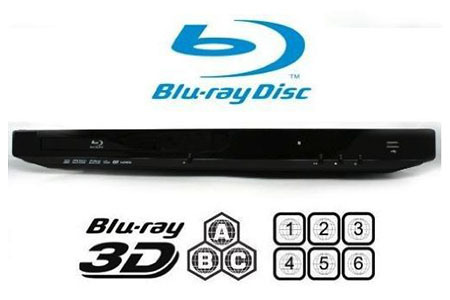 The iVid BD-780 Multi-Region 3D Blu-ray Player supports 2D and 3D Full HD 1080p output via HDMI. It’s compatible with Blu-ray discs (Zones A/B/C) and DVDs (all regions). Plus, the BD-780 supports upscaling to Full HD 1080p as well. It also features an Ethernet port for network connectivity. For other connectivity options, the device offers HDMI and composite AV RCA jacks. There’s a USB port as well, which allows you to enjoy a variety of content including photos, video and music stored on a USB flash drive. For high-quality audio playback, the BD-780 features 5.1-channel surround with Dolby TrueHD and DTS-HD decoding. Other features include BD-Live, Bonus View and a remote control for easy operation. AC 110V-240V, 50/60Hz input. Works worldwide.